This GIVEAWAY is now CLOSED!! Congratulations to The Spicy RD!! Floating Sesame Loaf recipe by Maria Speck is one of many compelling reasons to wish to win a copy of Ancient Grains for Modern Meals cookbook or rush to buy it. If you are an experienced baker, you will be mesmerized by the no knead, no rise, immerse entire whole wheat dough in water technique. If you are a novice baker, and fear the mystique of yeast breads, this is a no fuss beginner's level loaf. Fantastic to bake with kids, as the dough is ready to bake when it plops and floats to the top after being immersed. If you are anything like the Greek and German born and raised, Maria Speck, who moved to the United Staes as a young adult and now lives in Cambridge MA, that will be the turning point and you will fall in love with baking. Once in awhile a cookbook will come across that will teach you something new. Something, you haven't seen anywhere else and Ancient Grains for Modern Meals does it without much preaching just as a matter of fact wholesome whole grains, a way of living. Hot off the presses, recently published, Ancient Grains for Modern Meals (Ten Speed) by Maria Speck draws mainly from flavors of the Mediterranean. She weaves us through her mother's Greek ancestary, takes us to Turkey, South of France, Italy and off to her Father's German roots with fusion of tradition with innovative flavors for the modern palate. A well established writer with articles published by SAVEUR, Gastronomica, the Vegetarian Times and Cooking Pleasures among others here and overseas, Maria approaches the 100 recipes in this cookbook with flavorful simplicity. Farro, barley, quinoa and spelt are not only notorious for their health benefit but they are also extremely easy to prepare and affordable. I should note here, Maria doesn't shy from using butter in moderation to enhance flavor and will give you throughout Ancient Grains for Modern Meals tips and advice for substitutions and variations. In the Summer Tabouli with Farro Maria suggests to get a head start by cooking the farro in advance. In the Purple Rice Pudding with Rose Water Dates Maria suggest to lighten up the reipe use whole milk instead of half and half. With so many mouthwatering recipes strewn throughout, it was a challenge to choose the first recipe to inaugurate in my kitchen. I wanted to make the Saffron Waffles with Orange Cream or Cornmeal Pancakes with Warm Cherry Sauce, as breakfast for dinner, as Jonathan was away and I was home alone. I also want to make the Quinoa Cakes with Smoked Trout and Lime Mayonnaise and Homemade Spelt Fettuccine. When I got to page 168, I felt as if Maria has thought only of me when developed this recipe. You see, I just got for the first time polenta and corn grits at the market a day before. Now I am getting hungry so ciao for now I am going to get a slice of this delicious tart for lunch! *All photographs and recipe reprinted with permission from Ancient Grains for Modern Meals by Maria Speck, copyright © 2011. Published by Ten Speed Press, a division of Random House, Inc. Photo credit: Sara Remington © 2011 Thank you Maria and Ten Speed for providing me with a review copy and one giveaway copy for my readers. 4. Please leave a comment about your whole grain thoughts, experience or favorite dish, if any. 1. Like Ancient Grains for Modern Meals Facebook page here. 2. Like FoodWanderings Facebook page here. • With each action leave a comment saying you did so for up to maximum five comments per person. • Drawing will be done randomly from all comments recorded by Wedensday, May 18 by midnight and lucky winner-will announced on Thursday, May 19. • Shipping only in the US or Canada. Overseas friends with a US or Canadian address are welcome to enter! moist fingers, pressing firmly. No need to fret over this—it’s easy. artichokes. Sprinkle with the Parmesan cheese. cut into slices. Serve with more freshly ground pepper on top if you like. Shulie, there is nothing not to love about this recipe: I am so trying the fabulous polenta crust and the filling is stunning! Artichokes and goat cheese is wonderful! Beautiful! 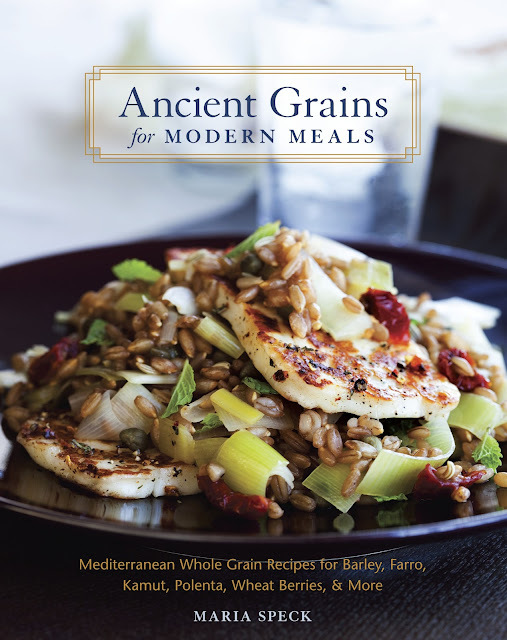 I Liked Ancient Grains for Modern Meals on FB with both my personal and blog page. Oh this book is on my wish list! I love working with all sorts of grains. I am also having a similar giveaway, you should head over and enter! I have used quinoa frequently, barley for several years, and just started experimenting with buckwheat. I love discovering unusual ingredients and including them in our regular meals. I love quinoa, kale and pine nuts! Yum. Following on Twitter! I shall follow Ms. Speck and will be back here 4 more times! Both your tart AND the book look fabulous! Love that I can make this for myself without any modifications as it is already gluten-free :-) One of the positives, for me, of eating gluten-free has been getting to try so many other wonderful grains such as quinoa,sorghum, millet, and teff. Thanks for sharing! 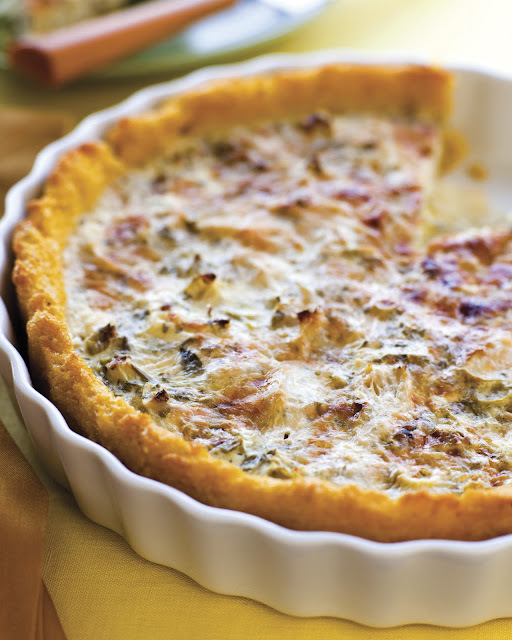 I love this recipe with a polenta crust, artichoke and rosemary filling. Have to try it. Yesterday I made whole grain wild rice blend with broccoli rabe, tomatoes, dried cranberries, cooked pork tenderloin (just a bit)and garlic chives. Yum! I follow Maria on twitter. I like Food Wanderings on Facebook. I like Ancient Grains on Facebook. I tweeted and followed everyone. Would love to learn more about using grains. I have a bag of bulgur wheat that I needed for one recipe and I'm wondering what to do with the rest of it. This book must be amazing! My hubs cooks w/farro and it's delicious. This tart is fantastic and I am printing to make this weekend for him:)I tweeted the giveaway, but will do so again! I have not had dinner; that was a mistake. I'm now wondering if I could sub artichokes in oil and make this tonight. Looks oh my goodness fabuloso Shulie! And I follow foodwanderings on twitter! So glad Blogger is up again but so sorry you lost all those comments! Good thing they have email notifications! The book sounds lovely! I discovered kamut last year and love the taste. What an amazing book, when I saw the name of the recipe I was immediately intrigued. I've been trying to incorporate more whole grains into my cooking and this would be a great addition to my cookbook collection. I liked Ancient Grains on FB! I liked Food Wanderings on FB! As well, I like you on Facebook. Thank goodness Blogger is operational again! Now following Ms. Maria Speck! How perfect. Polenta, Greek yogurt and goat cheese! So happy I came across your blog. I'd love to win this book. I'm now following Maria Speck on Twitter. You so totally had me at polenata crust! This recipe has every single thing I love. I do need to make polenta crust. Sounds beautiful!! This one sounds like an AMAZING book. Someone mentioned bulgur, one of my favorite quick-cooking grains. Be sure to try the Bulgur with Butter-Roasted Almonds and Cinnamon in the book—I can never get enough of it! I would love to learn how to make a crust from polenta! I made my first ever tart crust last week for a quiche. Our family loves polenta and I'm sure would adore a tart with the polenta as a crust. Sounds fantastic! I followed @MariaSpeck. I already follow you :-), I also tweeted about the giveaway. I follow you both and twitted about the giveaway. This recipes looks os beautiful that I can't wait to make it, and am interested to discover more recipes like it in the book. Thank you for the giveaway. Grains are one of my favorite things to eat...healthy, light and easy to incorporate in so many ways! I also became of fan of Ancient Grain Facebook Page! And now I follow you, found you thru chefpandita RT this giveaway! This looks delicious! Can't wait to make it for dinner tonight! Following you on Twitter! Oh my goodness, this sounds like a killer recipe. I love everything about it! I now follow Maria on Twitter. I liked Maria's page on Facebook. I made this recipe with stone ground blue corn grits and it turned out beautifully. I made it in an earthenware Chamba plate. Crusted beautifully. It doubled very well too. Got rave reviews at a party full of top notch chefs here in NYC. I also used canned artichokes and they worked well. Great recipe and thank you for sharing. Killer book. Going to post a photo on my blog of the finished and link to your fab blog. 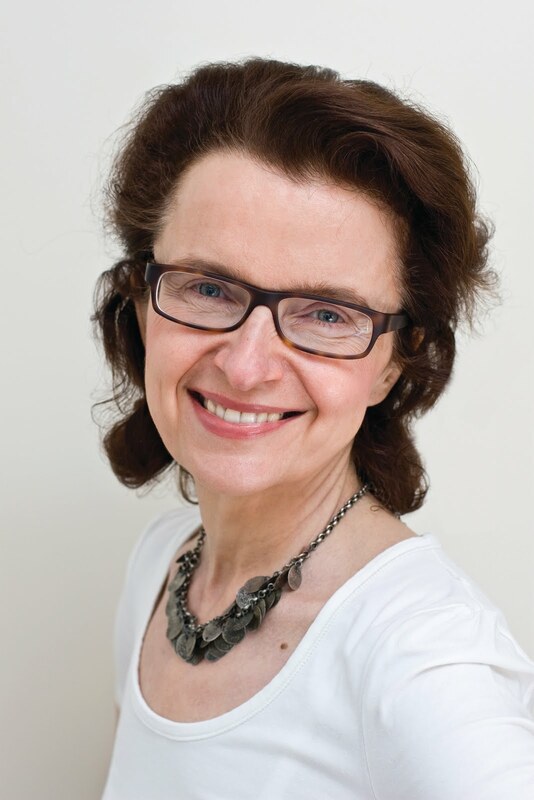 Nathalie, this is Maria -- the humbled author of Ancient Grains for Modern Meals. Your enthusiastic description of the polenta tart gave me goose bumps, and almost moved me to tears. Thank you for the compliments. Killer book ~ my new favorite!